Chrome plated brass, concealed fixings, 180mm diameter. 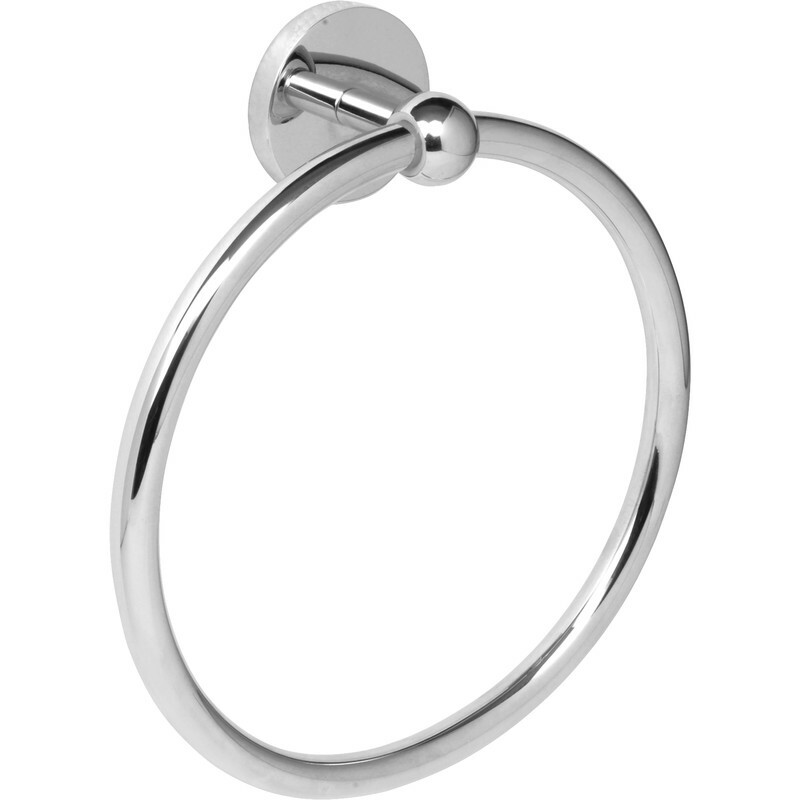 Polished Towel Ring Chrome is rated 4.4 out of 5 by 5. Rated 5 out of 5 by JohnDK from Looks and feels good Good quality finish which won't start to corrode after six months! Easy to fit and so far the towel hasn't fallen out of it. Rated 3 out of 5 by Trick from Ring very slightly pitted and too loose This is made of materials that should not rust ever.